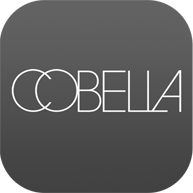 Cobella are dedicated to maintaining standards in the industry, and with so much public interest in occupations like hairdressing, it is important to ensure that real talent comes across from companies like ourselves in the public eye. We have been heavily involved in Channel 4’s show, The Salon, both series. We were on the selection panel and rigorously tested the stylists’ skills because we wanted real talent to come through. We felt it was very important to ensure that The Salon was run as a professional establishment. We profiled on the Boss comes to Dinner as we wanted to show the selection process that goes into recruiting a new candidate for a company such as ours, one of the winners is still working with us today! We have acted as advisors for ITV Good Morning and other makeover shows.